This week’s tip is quite a bit longer than normal, but that’s because I had several things I wanted to cover. Essentially, I wanted to show you how I built this viz for Dear Data Two. I hope you enjoy the tips; it was a lot of fun making this viz. Click here to see my write up for the Dear Data Two project. Quite awesome video you shared, really helped me to solve the background images in pie charts issue. Although I can`t find the way how to keep them always on top. 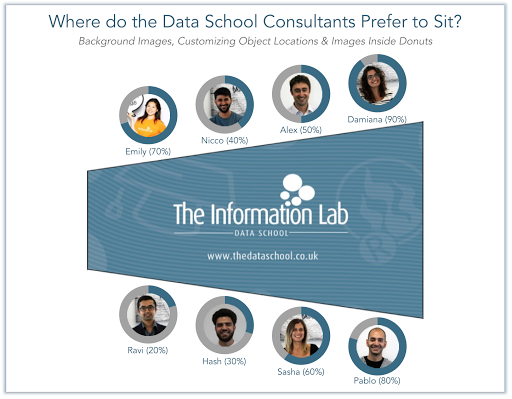 As you click on the doughnut chart, the photo goes in the background. Maybe you know how to fix this and to make it to be always on top? I don't know of a way to fix that. Well, actually, I do know one way, don't use pies or donuts. Use bar charts instead. Thank you for your answer, although my case is for the doughnut chart. 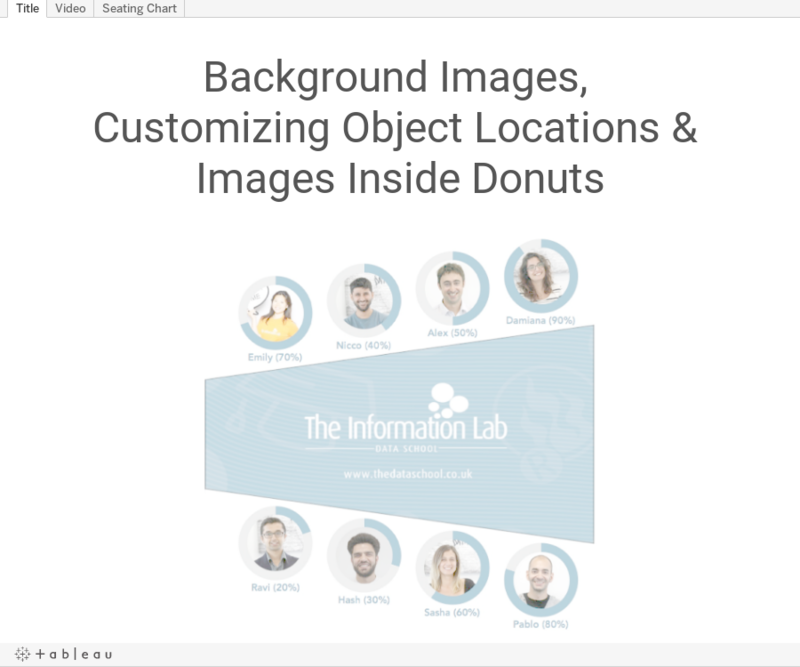 By putting a transparent text object over the doughnut charts, you could prevent the user from clicking the doughnut chart all together. How did you get "Seating" under Maps?